Hello Beautynistas and Suavies! We hope that our U.S. readers enjoyed the Fourth of July celebrations (and have recovered). So, can you believe that it’s July already? The balmy days of Summer 2015 seem to be more like a daze of Summer 2015. Happily, we still have plenty of summertime fun left to enjoy. Here in the Northeast part of the U.S., we’ve been experiencing some seriously hot and humid weather. And with this in mind, we think about how scent can be amplified in the hot weather. So, Team TME has chosen lighter scents for Fragrance Of The Month July 2015 and … we’ve chosen two scents for the ladies and two scents for the gents! 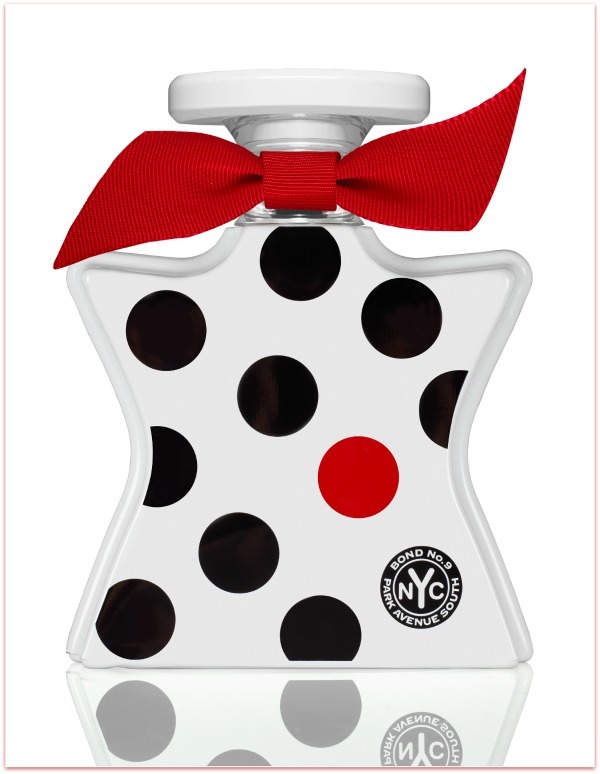 Park Avenue South by Bond No 9 (100ml — $295) was just launched in March 2015 and is all woman with a Fruity Floral theme. 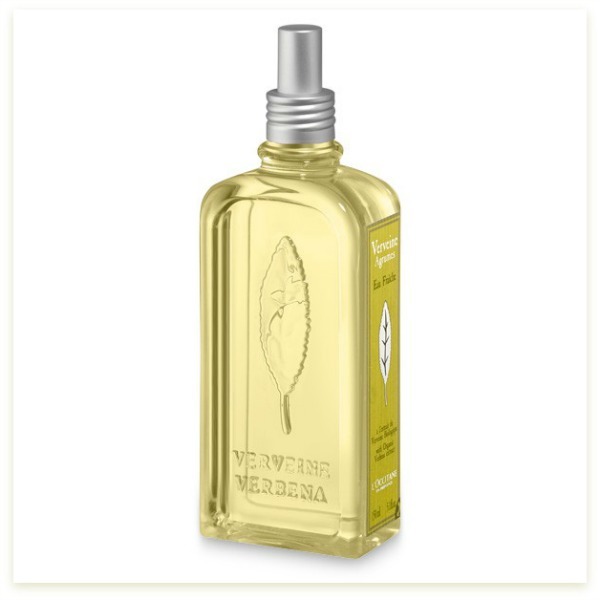 Opening with a tap of Green Apple that gives way to a beautiful blend of jasmine and delicious peach. Drydown leaves a sumptuous floral blend anchored by musk and dry amber. 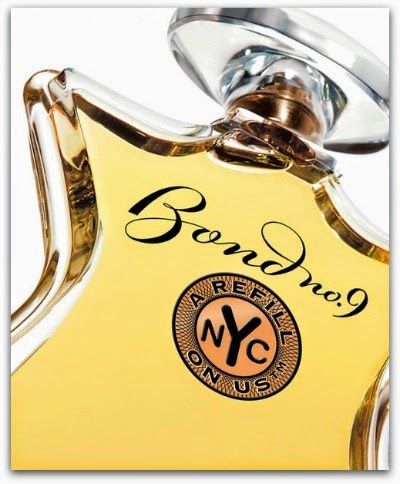 Park Avenue South is our favorite Bond No 9 scent to date. Seasons: Warmer Months; Sillage: 3-Moderate; Longevity: 4-Long Lasting; Bottling-5 - Nose: Laurent Le Guernec. Montauk by Bond No 9 (100 ml - $280) was launched in 2013 and has a Floral Woody Aquatic theme. Although Montauk was designed as a unisex, we find it to be more on the masculine end of the spectrum. 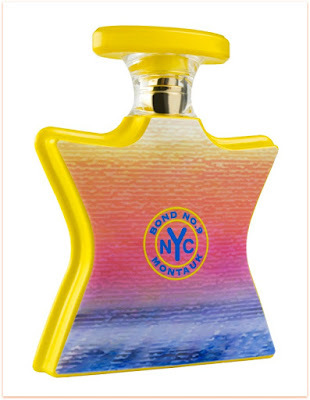 Opening with a burst of wild bergamot, Montauk takes you on a ride through a blend of fruity, aquatic and woodsy notes. Montauk reminds of summertime spent at the beach (sort where we wish we were right now!) and is a solid summer fragrance for men. Seasons: Warmer Months; Sillage: 3-Moderate; Longevity: 4-Long Lasting; Bottling-5 – Nose: Laurent Le Guernec. 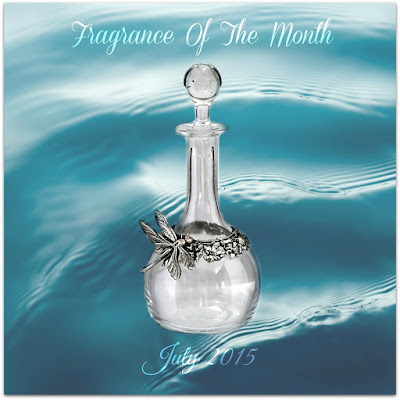 Ancillaries are available for each TME’s July 2015 Fragrance Of The Month choices. Hello again Beautynistas and Suavies! We hope that you enjoyed last month’s launch of The Makeup Examiner’s Fragrance Of The Month feature, as well as our choices. Embarking upon a new season seems to bring with it a beg for change. That, of course, is not to say that Summer 2014 wasn’t amazing -- it was indeed -- but now it’s time to embrace the cooler weather and all the brand new offerings from beauty houses around the globe! For Fragrance Of The Month October 2014, we present two gorgeous fragrances from a perfumery we’ve previously reviewed … Bond No. 9! For the ladies we present the newly launched Queens and for the gents, it’s The Scent of Peace for Him. So, without further ado let’s get the scents. 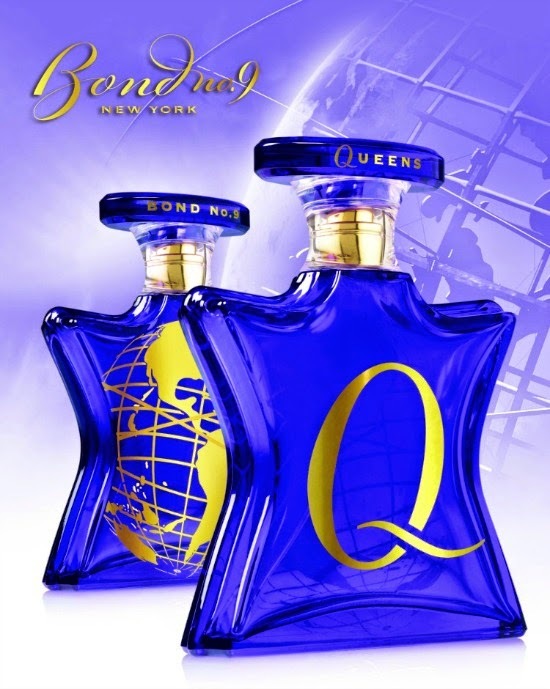 Launched on September 18, Queens by Bond No. 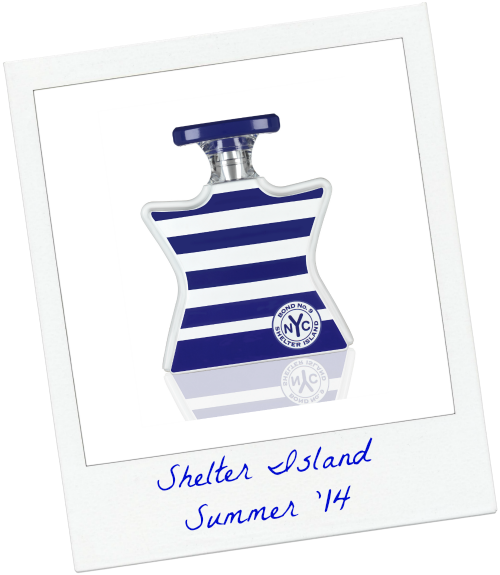 9 (100 ml - $270) is inspired by the borough’s complete diversity. 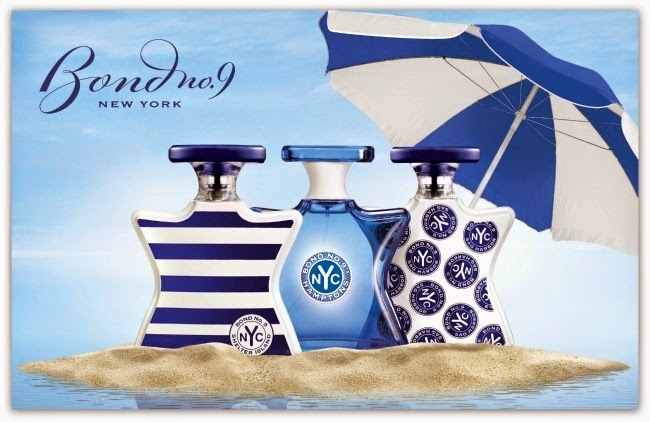 The borough of Queens takes the crown as the world’s most ethnically diverse urban area … and that is most definitely reflected in the scent’s exquisitely blended notes. Bond No. 9 creative director, Laurice Rahmé stated, “It’s a message for peace” that is further presented by the iconic 1964 World’s Fair Unisphere, which is rendered in gold on the front fragrance’s royal purple flacon. The back of the Queens flacon is a simple long-tailed “Q,” placing the bottling at a 5. 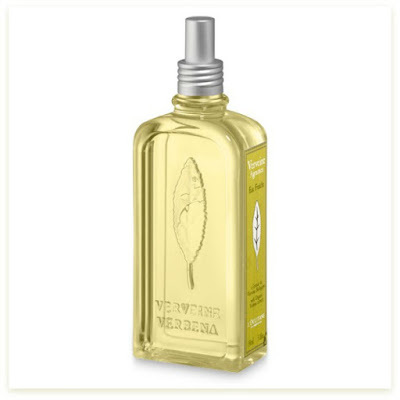 For our gentlemen, we present The Scent of Peace for Him (100ml - $250). Launched in October 2013, The Scent of Peace for Him was inspired by Rahmé’s passion to further a message of tolerance, comfort and, of course, peace. The flacon is classic Bond No. 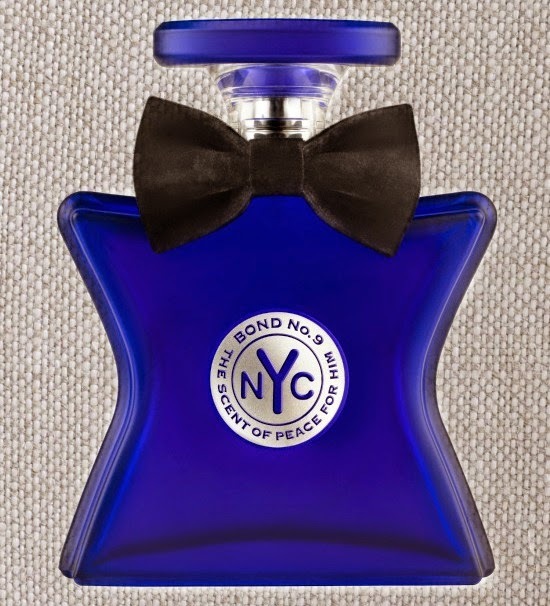 9 style accented by a black bow tie around the neck and is completely reflective of the scent, which is reminiscent of the quintessential gentleman. Queens and The Scent of Peace for Him by Bond No. 9 are available at Bond No. 9 boutiques are select retail locations such as Nordstrom. Who doesn’t love a good secret? Well Bond No. 9 apparently loves to keep secrets like the formulas for their award-winning eau de parfum and perhaps customer secrets … But, the brand has recently disclosed a major secret about a very special refill program. Quietly in operation since 2007, Bond No. 9 has held a semiannual free refill program. The program is whispered about among the most passionately committed of the brand’s loyal cognoscenti and connoisseurs. So popular is this semiannual event that many Bond No. 9 aficionados use the opportunity to stock up on as-yet untried scents. 7 years is a very long time to keep this delectable transaction a secret. So for spring 2014 Bond No. 9 has let the cat out of the bag or in this case … let the scent in the bottle. Here’s how it works: From Thursday, May 29 through Wednesday, June 11, you bring your empty scent containers -- regardless of brand -- to any Bond No. 9 counter. 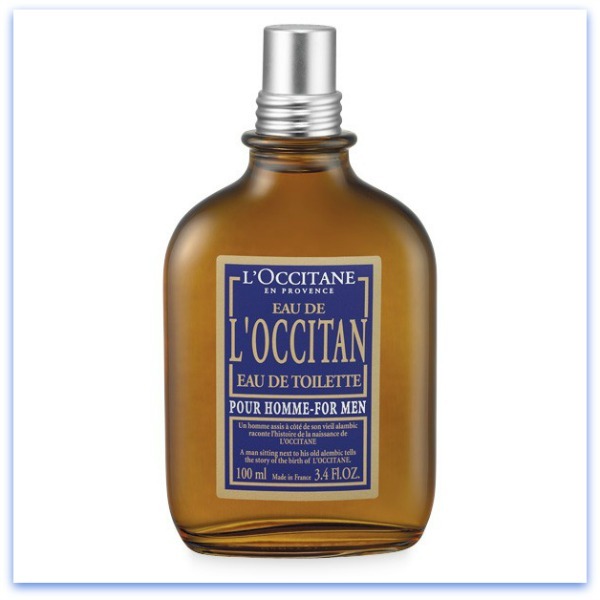 By way of thanks, the brand will reward you with a large-size (100ml) bottle of your choice. Just one caveat: You must purchase any two Bond No. 9 items, excluding pocket sprays. The upshot? You’ll be in possession of three new bottles of perfume. To find a store near you, visit Bond No. 9.